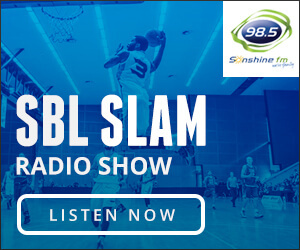 ROUND 5 of the Men’s SBL includes the Cockburn Cougars looking for their first win in Steven Van Lit’s 250th game while there are two huge regional matches with the Goldfields Giants against the Rockingham Flames, and the Geraldton Buccaneers against the Perth Redbacks. There are three matches to open Round 5 of the Men’s SBL on Friday night with the East Perth Eagles playing the South West Slammers at Herb Graham Recreation Centre, the Lakeside Lightning facing the Willetton Tigers at Lakeside Recreation Centre, and the Cockburn Cougars facing the Kalamunda Eastern Suns at Wally Hagan Stadium in Steven Van Lit’s 250th game. Five games take place on Saturday night including two fascinating contests in the regional centres. 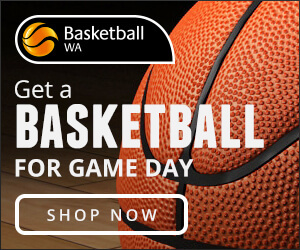 They see the Goldfields Giants host the Rockingham Flames at Niels Hansen Basketball Centre, and the Geraldton Buccaneers playing host to the Perth Redbacks at Active West Stadium. The other Saturday night matches see the Joondalup Wolves host the Perry Lakes Hawks at HBF Arena in a Grand Final rematch while the South West Slammers face the Cockburn Cougars at Eaton Recreation Centre, and the Warwick Senators battle the Mandurah Magic at Warwick Stadium. The round then concludes on Sunday afternoon at 2pm at Ray Owen Sports Centre with the Kalamunda Eastern Suns playing the Joondalup Wolves. Round 5 in the Men’s SBL gets underway Friday night at Herb Graham Recreation Centre with East Perth hosting South West. East Perth lost twice last weekend to the Tigers and Giants to now sit on 3-3 heading into Friday night’s battle with the winless Slammers. But with Michael Lay, Brian Voelkel and Tyler Livingston becoming used to playing with one another, the Slammers will be desperate to get that elusive first win of 2019. The Lightning are coming off their first loss of the season last Friday night at the hands of the Wolves while the Tigers come into the game with a 3-3 record and are attempting to bounce back from a road loss to the Warwick Senators last Saturday. 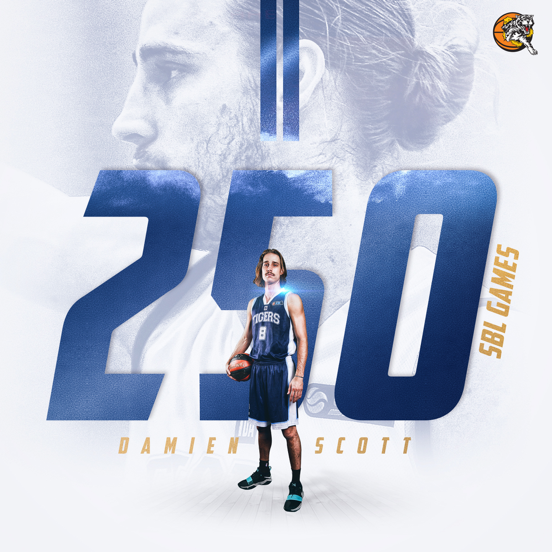 The lastly on Friday night, the Cougars are hosting the Suns with Cockburn not only attempting to get its first win of the season having so far suffered four defeats, but also attempting to win to celebrate the 250th game of championship winning guard Steven Van Lit. They play host to an Eastern Suns team that have had a rollercoaster opening to the season but was tremendous beating the Slammers 108-88 last week with Louis Timms, Josh Braun and Carl Aylett all combining for 91 points, 24 rebounds and 11 assists. The Giants and Flames are both trying to show they belong in the championship discussion in 2019 making Saturday night’s clash in Kalgoorlie one with plenty of intrigue. Goldfields has so far this season won both its home games over the Redbacks and Senators while splitting their road matches with wins against Kalamunda and East Perth, and losses to the Wolves and Flames. Rockingham also comes into the game at 3-2 coming off that 96-91 win over the Giants on their home floor last Sunday afternoon. Given how good of a contest that was on Sunday, this Saturday night in Kalgoorlie has all the hallmarks of being another cracker with the winner to send a message to the rest of the league. Another big regional clash on Saturday night sees the Buccaneers play host to the Redbacks. The Buccs responded to their first loss of the season against Perry Lakes by beating the Cockburn Cougars by 39 points on their home court to improve to a 4-1 record on the season. 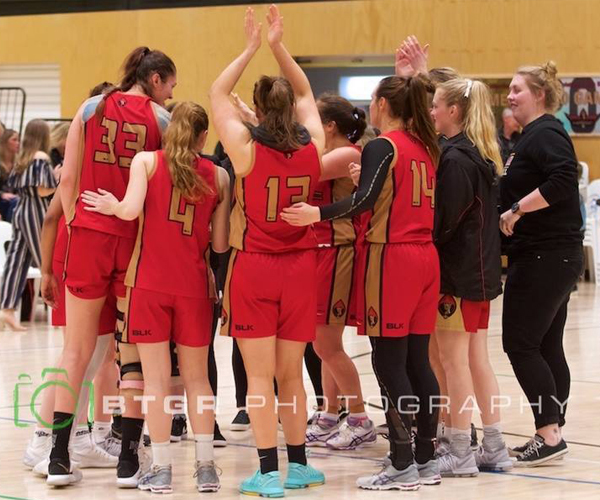 It was a tough start to the campaign for the Redbacks losing the first four matches but they responded too last week with wins over the Flames and Slammers. A win in Geraldton would truly signal that the Redbacks are still a team to be reckoned with in 2019. The Wolves are back home at HBF Arena putting their undefeated season on the line against the defending champion Perry Lakes in the second Grand Final rematch already of 2019. 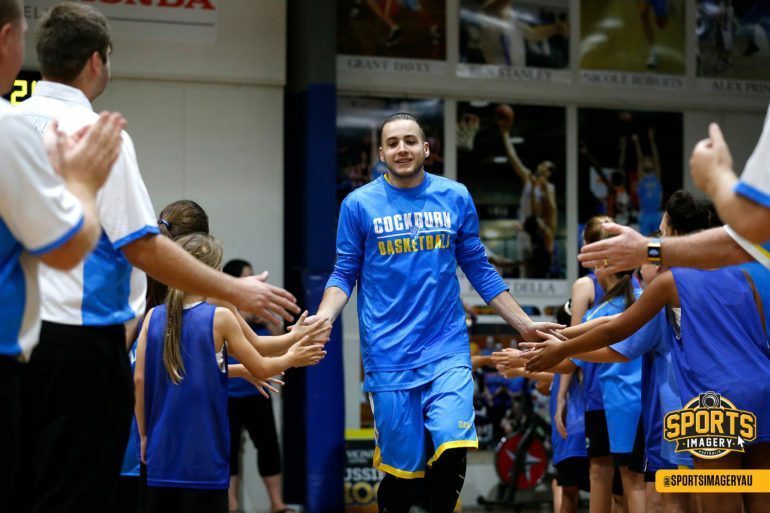 The Wolfpack did start the season beating the Hawks by 36 points at Bendat Basketball Centre in their first meeting since last year’s Grand Final. 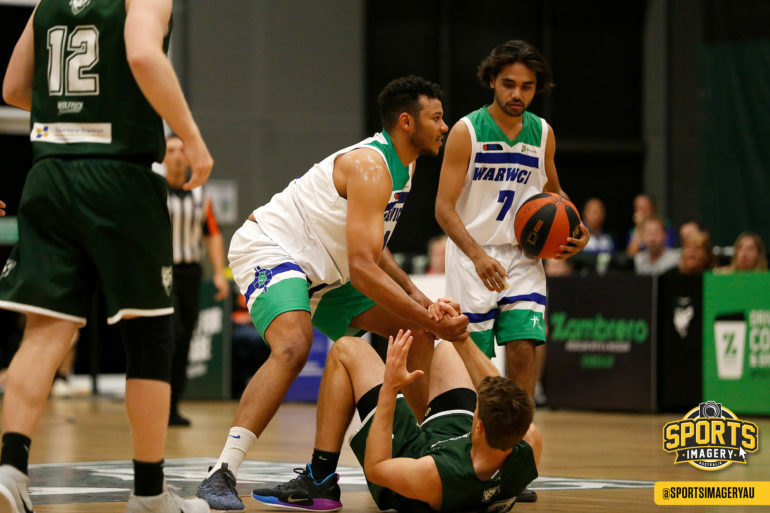 The Wolves have continued on to now have won their opening five games while the Hawks lost their first two matches and now have won three straight setting the stage for what should be a significant closer contest at HBF Arena on Saturday night. Two teams desperate to get their season up and going then meet on Saturday night at Eaton Recreation Centre when the Slammers host the Cougars. The Slammers will be coming off playing East Perth on Friday while the Cougars will have hosted the Eastern Suns. Two teams playing their only match of the weekend on Saturday night sees the Senators host the Magic at Warwick Stadium. 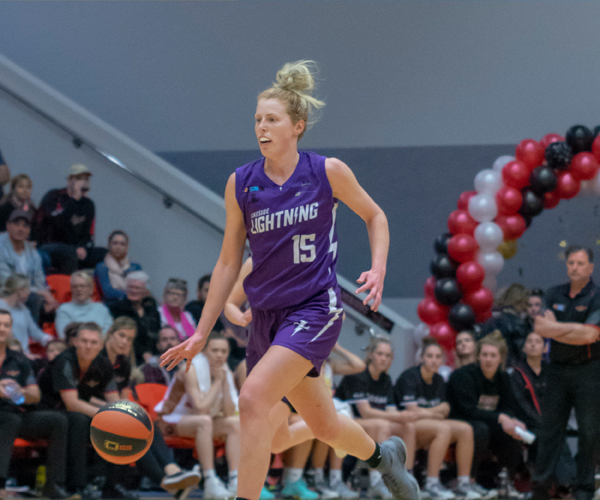 The Senators played their first home game of the season last Saturday night beating the Tigers to improve to 2-2 and now they look to continue that momentum against a Mandurah team that has to respond to a horrible last two performances. The Magic did beat the Eastern Suns on the road back in Round 2, but they haven’t enjoyed their time since losing to the Eagles by 51 points at home and then going down to the Hawks by 47 points on the road last Friday night. The final game of the weekend takes place on Sunday from 2pm at Ray Owen Sports Centre with the Eastern Suns hosting the Wolfpack. Kalamunda will have played Cockburn on Friday while Joondalup is coming off hosting Perry Lakes in the Grand Final rematch on Saturday night.